Still on my gel nails phase (They are just so easy to maintain and last forever!). 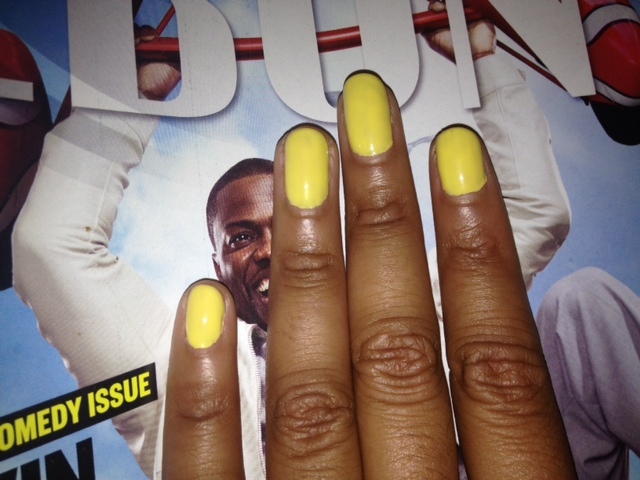 This is actually a week late, but last weekend I got my nails done in the perfect Spring/Easter color- Yellow. I found a nice yellow shade that is perfect for the nice weather…and pollen. 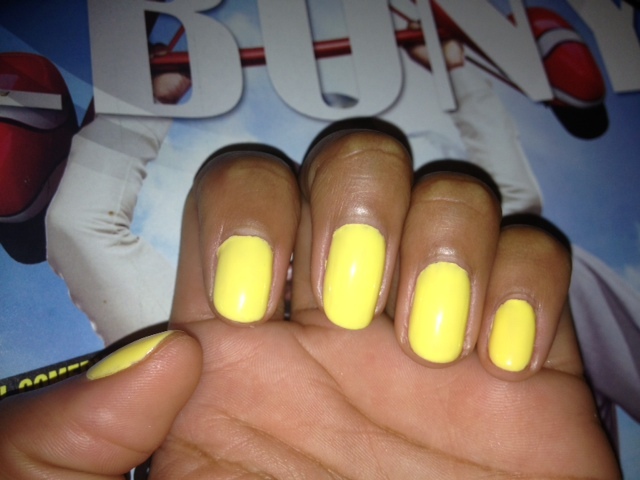 It looks kinda neon or highlighter yellow with the flash, but it’s really not that bright! 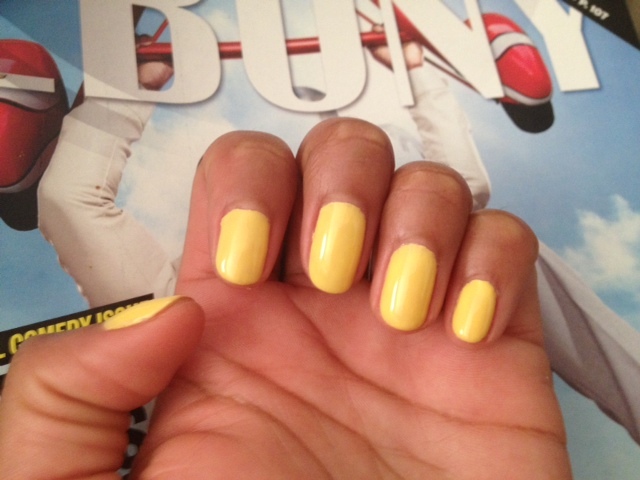 What do you think about the spring yellow? What colors will you be rocking on your nails this spring? Monday Mani Muse- Neon Green As Seen On Evelyn Lozada Monday Mani Muse – Blue/Green Gel II Monday Mani Muse: Spring & Easter Monday Mani Muse; Morgan Taylor Nails Golds For Spring! !